The year 1955 was a great one for love in the movies. Cary Grant romanced Grace Kelly in Hitchcock’s To Catch a Thief. Guys and Dolls followed, well, guys and dolls falling in love with each other (amongst show tunes and careers in professional gambling). Tom Ewell imagined that Marilyn Monroe was swooning over his charms in The Seven Year Itch. Even the top film of the year, Walt Disney’s Lady and the Tramp, was about puppies in love! The article goes on to state that any marriage – even one that is “completely tragic” – is better than no marriage at all. Obviously, this idea no longer holds up, but it does explain why Grace Kelly was so quick to get with that jewel thief in To Catch a Thief. It’s better to marry a criminal than die an old maid! …Or so True Story would like you to believe. Boys meet the peak of their maturity as adolescents, while girls meet it in their late 20s or early 30s. The “Great Adventure in Understanding” that occurs at the beginning of a marriage is certain to shock you. Your wedding night will be disappointing. Unlikeness =/= unhappiness. Don’t let your differences ruin everything! Don’t ever start thinking that you know everything. Your husband loves dirty pictures. Don’t question it. He can’t help himself. 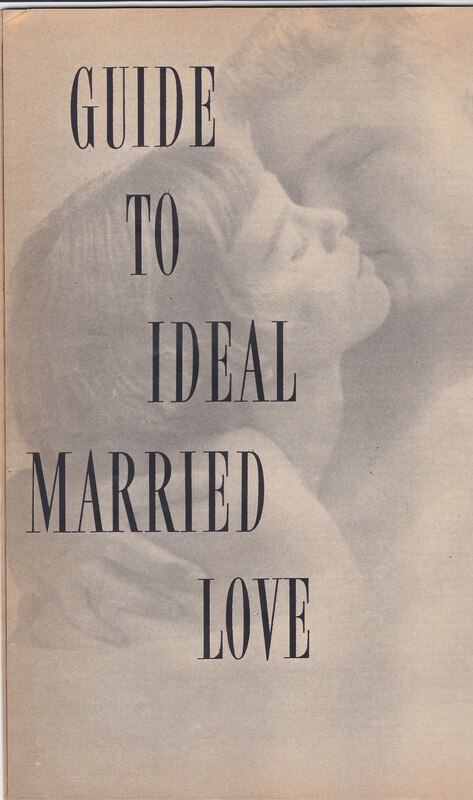 1955’s “Guide to Ideal Married Love” is all at once surprisingly foward-thinking (compared to the stereotypes of the 1950s) and antiquated (compared to today’s ideas about marriage). Um, you’ll also be telling us about ‘Wild Saturday Night: When Boys Crash a Pajama Party’, won’t you? Haha, I just might! If this post and the follow-up on engaged couples go over well, I plan to continue posting excerpts from my old mags every once in a while. 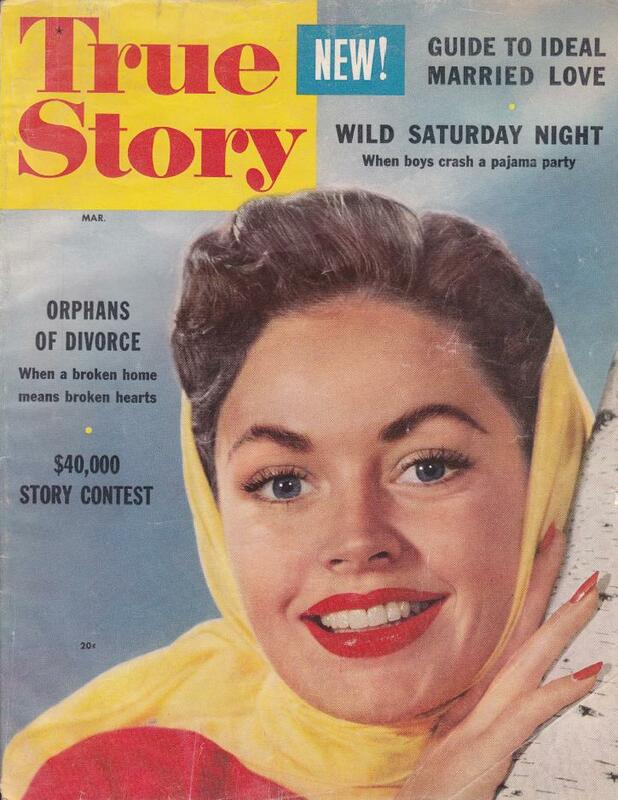 True Story is such a wacky magazine. They pedal most of their stories as “reader submissions” when they are very obviously written (in exaggerated detail) by Millie Drake-esque ladies. Even crazier, they’re the only publication in my collection aside from National Geographic that’s still in print. I guess they’re giving the people what they want – scandalous pajama parties and teen pregnancies!